In 2012, French spirits company Pernod Ricard commissioned me to highlight its efforts empowering locals in Dimen village, in China’s impoverished Guizhou province, to retain their culture through skilled marketing of traditional craftsmanship. The event was the brainchild of Pernod Ricard China’s Marketing Director, Pierre Berard, who brought his team to Dimen for a bonding trip. Originally, I was given a brief to photograph how the company contributed to the village, including field activities and workshops. When we met up in Dimen, I suggested we could instead make a book about the real life of the villagers, something that would really move viewers. I showed Pierre my other work to help him decide. He agreed. For two weeks I went my own way to discover the mountain inhabitants’ stories. By taking the time to sit and talk with many of the families in the village of 525 households, I learned the villagers’ worries, dreams, and hopes and most of all, heard their stories. Through this process I heard the story of Xia. She was the brightest in her class. Walking two hours on muddy paths to get to school, she earned a scholarship to secondary school, and eventually entrance to a prestigious university. Determined to support her daughter’s future, Xia’s mother had long been working in a factory a two-day bus ride away to raise the enormous sum that would be necessary to send her. After watching an emotional, but stoic goodbye between mother and daughter, I followed Xia as she took her first steps into the big city, leaving the mountains, the village, and a different way of life behind. I appreciate Pierre’s trust in asking me to create this authentic story. Pierre was delighted with the results too. “This work is magic,” he said upon viewing it at the gala. 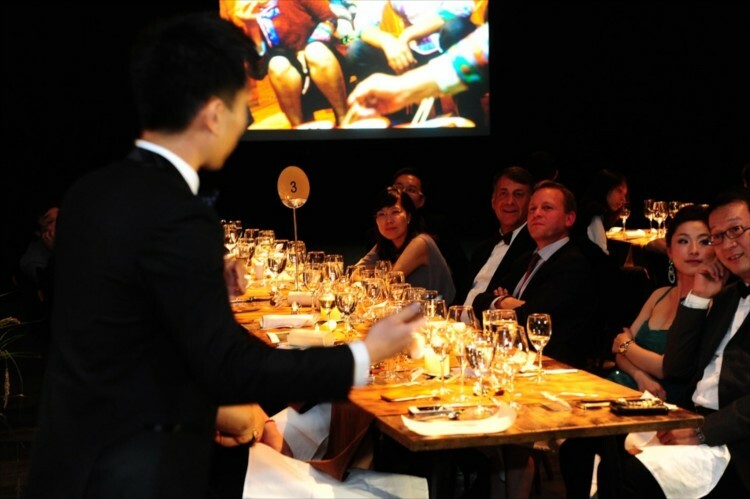 Pernod Ricard organized a black-tie gala in Shanghai and invited me as the main presenter, showing my pictures and telling my story to a gathering of movers and shakers.